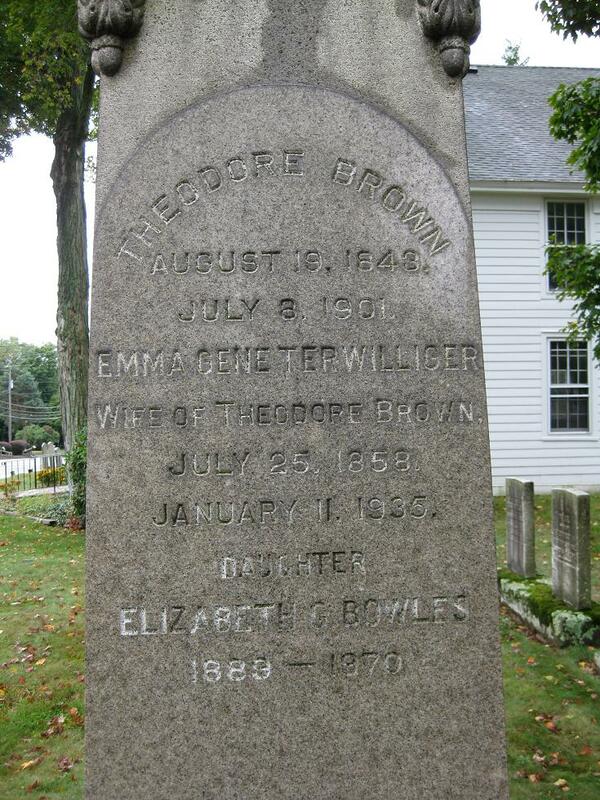 A native of Morris County*, Theodore Brown was born at the old ancestral home of the Brown family, in Newfoundland, N.J.,on August 19, 1843. For more than a century the property had been in possession of his ancestors. Hendrick Braun, a Dutchman, whose name had been Anglicized into Henry Brown. Henry left the lower point of Manhattan island, walked across the country, followed the Pequannock river for some miles in search of a desirable location on which to establish a home, and selected a site in Newfoundland. 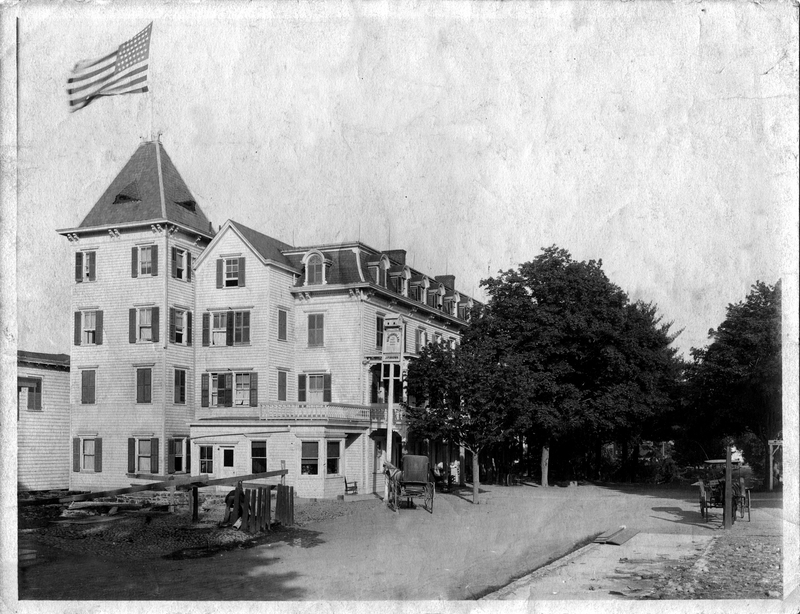 The danger incident to the war of the Revolution caused him to seek refuge in New York during its continuance, but when American independence had been won he returned to his land, and erected thereon a cabin just in the rear of the beautiful and commodious hostelry that would operate as Brown’s Hotel for over 70 years. John P. Brown, son of Henry, was born August 24, 1817 and died on December 20, 1898. He married Maria Ryerson, and in 1837 moved to the Morris side of the river and erected the first section of the Hotel that stood in Newfoundland. He constructed a store (now Route 23 Electric), engaged in farming, also operated a forge, and was recognized as a successful business man, having accumulated considerable property. John P. Brown had instituted stage coach service to from Paterson with a stop in Newfoundland in 1857. The Paterson and Deckertown stage got off to an auspicious start and operated every Monday, Wednesday and Friday. Agent John P. Brown advertised “Good coaches, fine horses and careful drivers”. The approximately 40-mile trip from Paterson to Deckertown was a bumpy ride along the old Paterson-Hamburg Turnpike. Individuals who wanted to make the trip left Paterson about 10 a.m. Nearly four hours later, they reached Brown’s Hotel in Newfoundland. An untold number of North Jersey residents considered a trip from the Highlands to Paterson something equivalent to a trip across the continent. Theodore Brown, son of John P. Brown, was prominently connected with the history of Morris county, received his business training under the direction of his father, whom he assisted, from an early age, in the store, home and lumber yard. Upon attaining his majority he assumed the entire management of the mercantile and lumber interests, while his father gave his close attention to the hotel and farm. With the death of his father, John P. Brown, the management of the entire estate devolved upon Theodore, who was an enterprising, progressive and capable business man. His keen foresight and business sagacity enabled him to conduct his interests in a way that returned a good profit, and was proprietor of one of the most popular hotels in this part of the state. There was an air of refinement and suggestion of home at Brown’s Hotel which pervaded the place; neatness and comfort characterized every room, and the hotel complex was conducted with a view to the greatest convenience and pleasure of its guests. A parcel to a point; thence (16) North 65° 30’ east and along the line of lands owned by Theodore Brown, and now of the City of Newark, thence (17) North 66° 30′ east and along the line of lands formerly owned by Theodore Brown, and now the City of Newark 237.6 feet to the point, then (18) North 65°, 30’ east and along the lines South 45° east feet to the middle of the Newfoundland-West Milford Road and the point and place of Beginning. Containing 111.3 acres more or less. Theodore Brown and his wife were members of the Oak Ridge Presbyterian church, and are buried in the cemetery there. *Newfoundland was designated as Morris County prior to the turn of the century and is now designated as part of Passaic County. 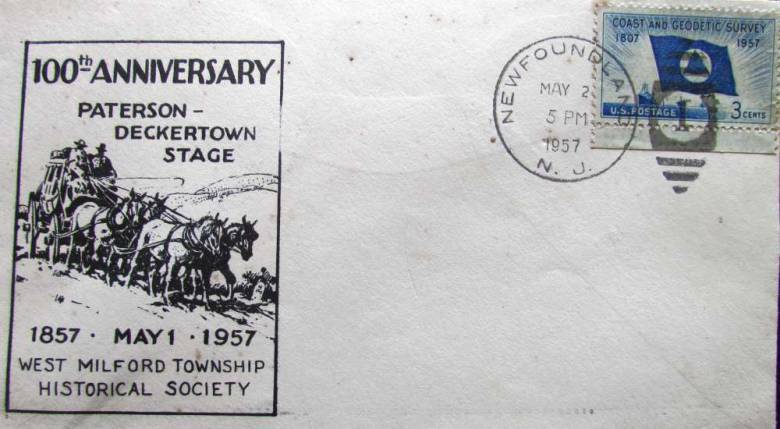 The Paterson and Deckertown stage was a forgotten memory to most until May 1, 1957, when the centennial of its first trip was appropriately commemorated. The West Milford (now North Jersey Highlands) Historical Society, the Post Office Department and the Greater Paterson Chamber of Commerce sponsored a colorful re-enactment of the stagecoach run. In addition to the driver and his gun-toting companion, the coach carried four passengers. Among them was Elizabeth Bowles, the granddaughter of stage line founder John P. Brown. Drawn by four palominos, the glistening coach advanced to Market Street for a two-day run along roads that had vastly improved since 1857. 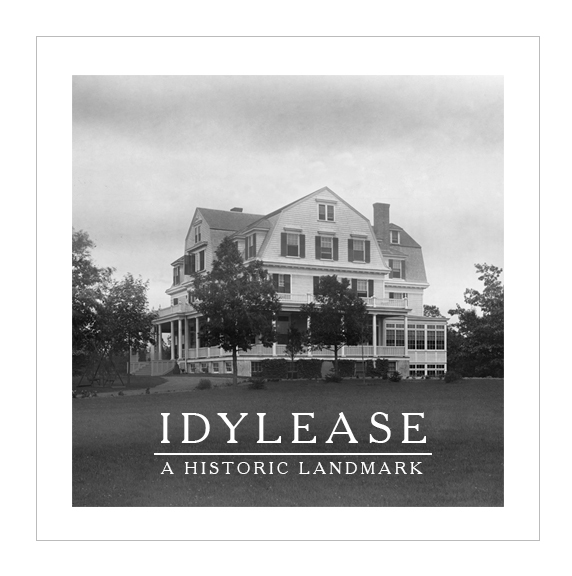 Passengers and crew spent the night at Idylease.